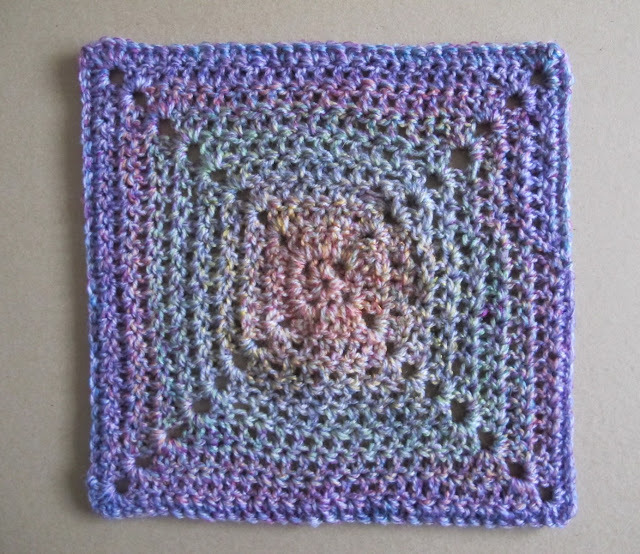 I’m still here – crocheting in the background! Sidetracked somewhat by a new commitment, but what a lovely haven to return to yarn every so often. Now that the cooler months are upon us, the hooks come out much more often, and it’s time to update. We had some weeks of early cold rain and suddenly I couldn’t resist knocking out this child’s beanie. The pattern by Lilia Garashchenko was easy, working in the round. Not without minor imperfections. (Charm of the handmade). But not sure I’ll use this pattern again as the cluster stitch ate up lots of yarn. It was made in a variegated red and black vintage pure wool I bought from the charity shop, the quality of which I’m yet to find again. The result was a very cosy and warm little hat. 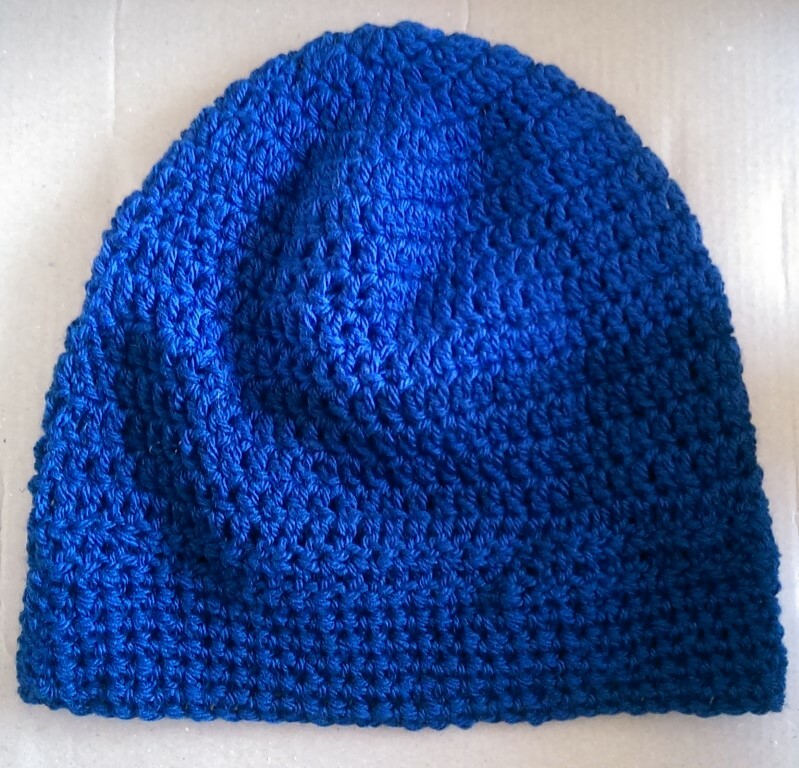 I also made this beanie as part of a crochet-a-long. You can see immediately in the two pictures the difference in the density and weight of the garment, depending on the stitch (cluster vs treble). Then there were these charity squares I made – so good for using up the yarn stash. Portable, quick and satisfying, I’m always gonna do squares. The most enjoyable make was my second pair of Jack & Jill fingerless gloves. They take a bit longer and always finish well with a row or two of edging. The stark difference in the pleasure of the process was solely in the yarn. I can’t stress enough how different it was to hook these up, compared to working in acrylic. And then the finished product were beautiful in themselves just because they were made of pure wool; they have a heavy, rustic quality. I was very happy they went to warm the hands of someone in cold winter Tasmania. These baby booties took way longer to knit up than I wanted. While it was exciting to return to a baby project and something I’d never tried before, a couple of things ended up stalling me, the booties and my blog. In the ether, I’d heard of sock knitting two at a time. 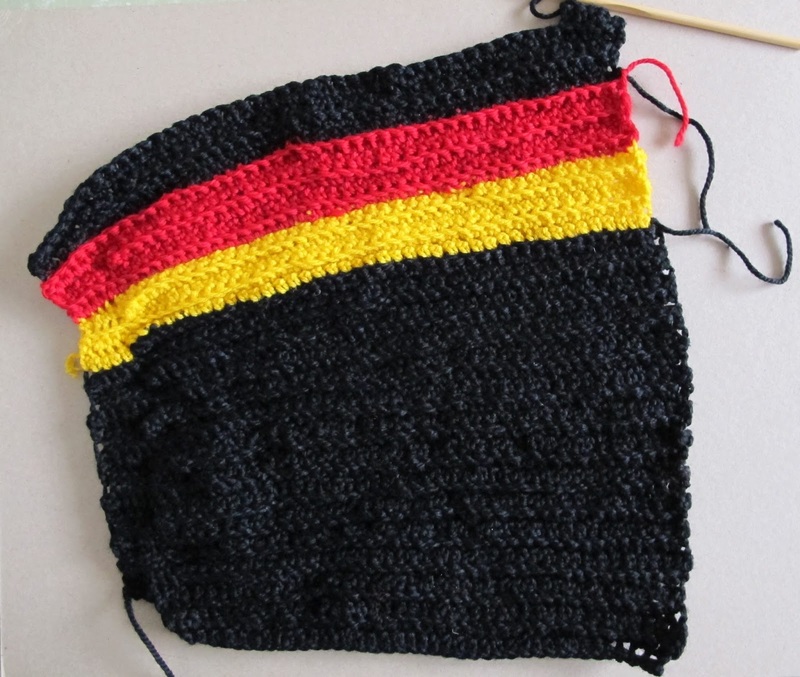 Without any pattern browsing, I thought to myself this must be done by knitting both socks onto one needle, doing the same row on the second sock immediately after doing the first. The thought of getting two booties finished at the same time really appealed. So I set off casting on both of them onto the one needle. 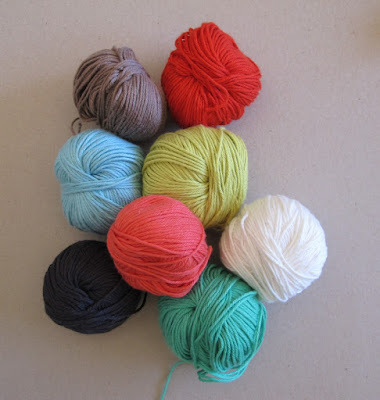 Hmm, I hadn’t thought of the fact that you would need two balls of the same wool. 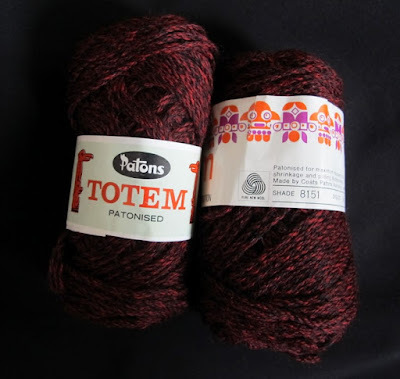 Well the two skeins of wool I had looked the sameish enough. However side by side on the needle, I started to see slight differences. I imagined that the finished booties would not even look like a pair. So I cast back onto 1 needle per booty, and proceeded to knit one at a time. I found the process so tiresome and drawn out that it was taking me over three months to finish! In the meantime I had lost a great chunk of data on the computer (including pictures for this post) and details of the charity that had required the booties. Needless to say I was getting a little grumpy. Luckily, it was an easy pattern (always the easiest patterns please!) with decreases in the centre. I’d never knitted anything shaped before so found it nicely intriguing. and the shape becomes this cute little foot. Trim with some ribbon and a cuff and bob’s your uncle. On finishing all two pairs, I couldn’t tell the difference between the skeins of wool used. So I could have done a pair on one needle after all! Still growling. 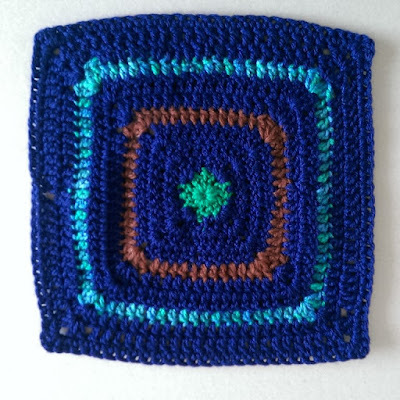 All this frustration was getting me itching to do another project for a change of scenery, even just some more stash buster squares! But I couldn’t get this going either, knowing that I had that other stalled thing lurking between the cushions. Remember this? Ahh I am in purgatory for not completing well. I am scared to start something new. I must have graduated to true yarnaholic with unfinished items scattered around the place. Yes, perhaps it’s something to be proud of. 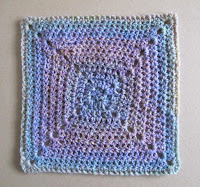 This month I’ve had fun making granny squares for blankets and my first baby items. I had a vague granny structure floating around in my head. It wasn’t much of a pattern but I knew the principles. 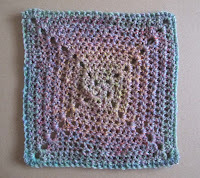 I don’t think I’ve ever made the same granny square twice - it is rather a fluid concept for me. I wanted my next square to show some variation, so I quickly glanced at a pattern. I didn't use the pattern directly, I just improvised. What I wanted was the little flower shape in the centre. Alas I was beaten once again when the flower shape disappeared somewhat with the next rounds. Next time I do squares, I am going to follow a pattern rigorously to see the difference! I'm also learning about tension and the way I crochet: it isn’t always even. And it seems my tension is tight on average (but depending on the yarn I’m sure). So when my improvised squares did not lay perfectly flat it was time to remedy with some blocking. Luckily I had my blocking board from snowflaking (I do miss making snowflakes and now they are even more alluring) so this was easy. My blocking board is just a small cork noticeboard from the stationery shop, with the plastic packaging left on. Simply use rust-resistant pins to hold the square in the shape desired and lightly spray with water. It’s so satisfying that working with yarn provides this flexibility. It would have been better if my pattern and tension were all on track from the word go. I was able to only just save these squares, thanks to blocking. 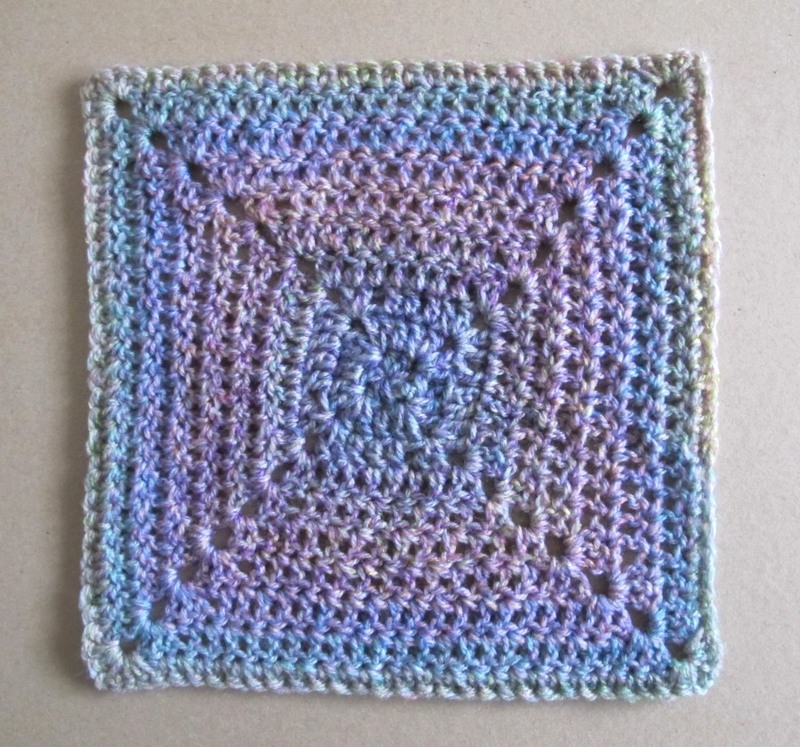 The popularity of the granny square will never die out. It is simple, looks great and best of all, enjoyable to make. The other bonus is that there are countless variations to try. 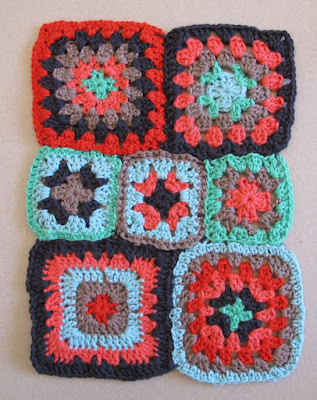 I feel I will always be loyal to the iconic granny square. Time to try my hand at something new so I had a go at a baby set for a women’s refuge. 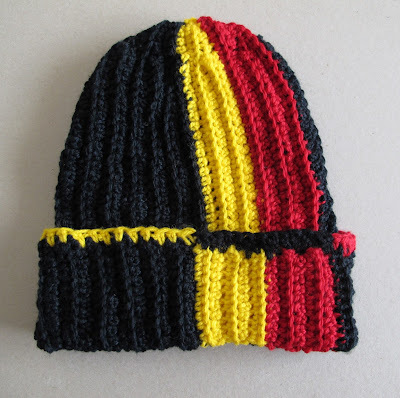 This pattern used shell stitch which was a newey for me – easy and fun not unlike rounds of a granny. but I also wanted to crack the whole pattern with the sleeves so kept going. There was also a matching hat. Seeing the little outfit brought much delight, and the cute factor was a bonus treat I didn’t anticipate. I’d enjoyed it so much that I started to make a second one in variegated pink and white. However, as I progressed, I found that I had not counted my stitches and so the sleeves could not fit in properly. I thought about a remedy with edging but I don’t think that was a good idea. 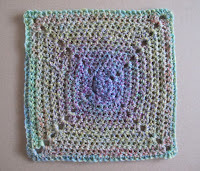 On top of all this, as I was crocheting I was often frowning, thinking the variegated yarn didn’t look that good with the shell stitch pattern. The solution I chose was to frog the whole thing – it sounds so uneventful but actually I had never done this before. As I wound the last of it, I became a kid sucking up a delicious strand of spaghetti. All my problems vanished, just like that. And I would have this nice variegated yarn for another day. Colour isn’t something I think about too much, my priority is to work through my stash the best I can. It is made up of donations and charity packs that I pick up whenever they’re available, so I don’t have much say in the colour choices. 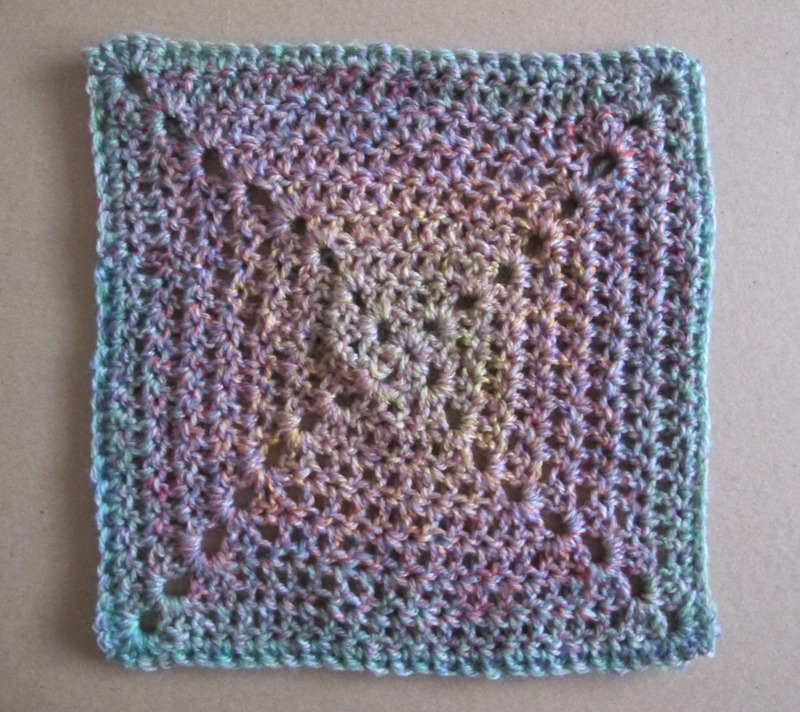 I set out to make some blanket squares, this yarn being especially soft. What a pleasant surprise it was to see the colours all weaving themselves together! And I was even more delighted by the way I kept getting different squares. I can’t tell you how much fun this was! So I am definitely a new convert to variegated yarn. Here are some gloves from Etsy – I had bought them because I liked the colours, without having given much thought to the fact that they were simply made with a nice variegated colour combination. 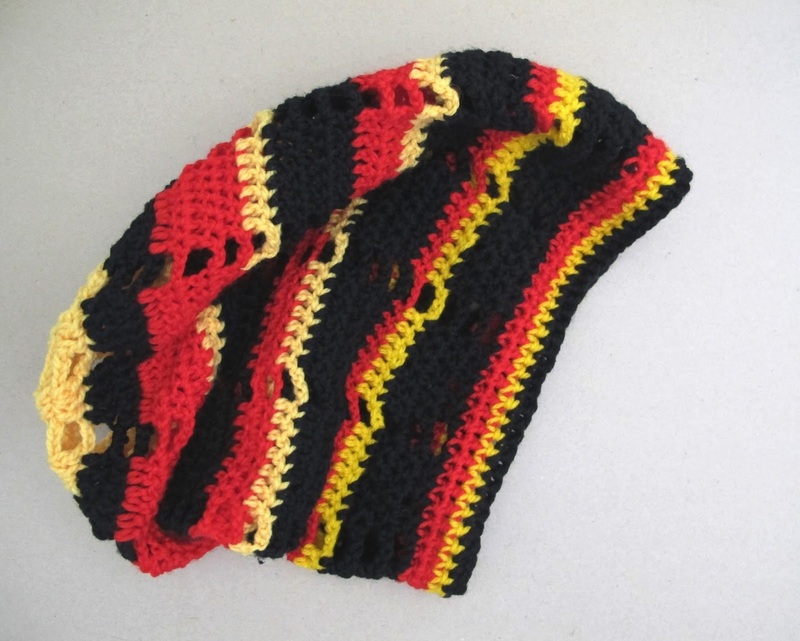 OK in the meantime I made 2 new crochet hat patterns in Indigenous colours – so beautifully bold. A chunky dc rib crochet beanie. It was interesting improvising the mix and match colour edging. 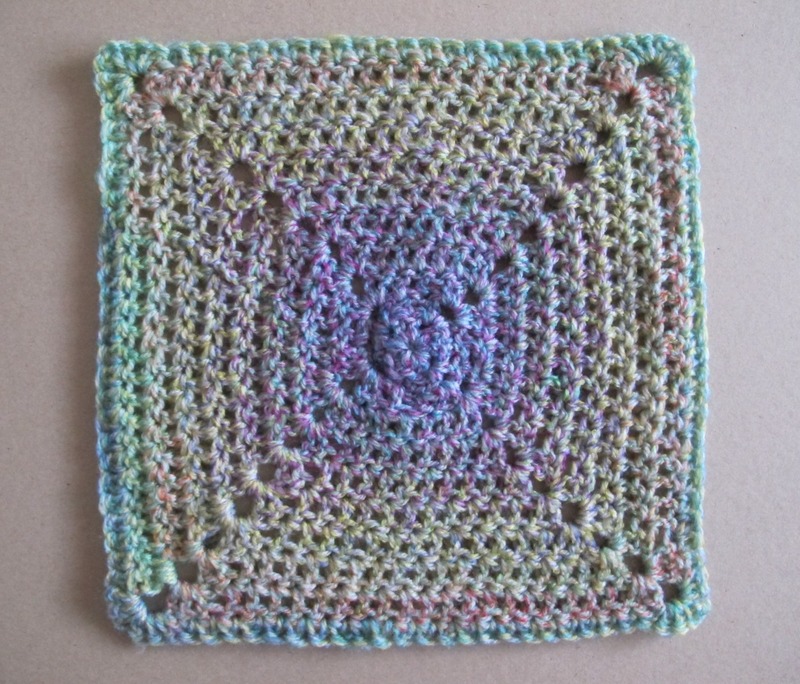 The pattern (single colour only) can be found on Ravelry here (US terms). I also made a summer slouchy beanie with plenty of ‘holes’ which is great for the warmer weather, the pattern here. Maker, thrifter, grower, mother, bike commuter, artist. Bloody hippy. Here you will find my dabbling in making things by hand. Maybe it will spur you on to take the plunge too. Thanks for visiting! I believe in the sharing and expansion of knowledge, so if you do share from here, please be polite and link back to my site. Click below for types of uses permitted. Thank you. wfih. Simple theme. Powered by Blogger.